Up to 1,500 homes should be built on part of a Brighton golf course, according to a Liberal Democrat candidate in the local elections. Laura Mullin, who is standing in Goldsmid ward in Hove, said: “We propose a housing development using some but not all of the Hollingbury Golf Course land. She was speaking at the election hustings organised by the Brighton and Hove Housing Coalition at St George’s Church in Kemp Town on Thursday (April 11). Some expected the evening to start with a minute’s silence for housing coalition founder Steve Parry who died earlier this week. Affordable homes and homelessness were two of the issues raised at the hustings, just weeks before the Brighton and Hove City Council elections. Four candidates took part – Lib Dem Laura Mullin, Labour council leader Dabiel Yates, Conservative deputy leader Steve Bell and Green housing spokesman David Gibson. Councillor Gibson said that he was a housing campaigner who slipped into politics. He called the loss of six million council houses under the “right to buy” scheme a key contributor to the crisis of visible and invisible homelessness . The right to buy scheme had to end, he said, adding: “It has pushed us into a situation where there is a lack of affordable housing and where private rented housing is incredibly unaffordable. Former builder and Tory councillor Steve Bell spoke about his delight when he could give someone the key to their own home. He said: “This is what we believe as Conservatives – that each and every person, no matter where they are and whatever walk of life, they deserve a key to their own front door. And he said that people who grew up in the city would be given priority. Labour councillor Daniel Yates said that the city was a popular place to live but lacked space because it was between the South Downs and the sea. This was driving prices up, not least with the way that property developers operated, and this was increasing costs for the council too. He said: “We have started to take action. As a Labour opposition in 2012 we asked the Greens to start buying back council homes lost under ‘right to buy’. They did nothing. He said that the Labour administration had built 200 new council homes in the past three to four years and was committed to building 800 “truly affordable” council homes. Liberal Democrat Laura Mullin said that the elections were an opportunity for new ideas and new faces. Campaigner John Hadman asked the candidates if they would support his proposal for year-round night shelter for the homeless as thousands had supported his 38 Degrees petitions on the subject. Councillor Yates said that the money was in the budget for a homeless night shelter 365 days a year but what was needed was a suitable place where people go as “no one should spend one night on the streets”. Miss Mullin said that a permanent night shelter was essential as “crises don’t happen to schedule” and it was in the Lib Dem manifesto. 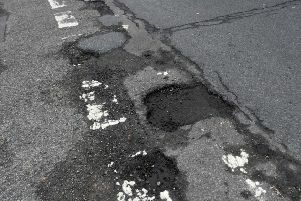 Councillor Bell said that he supported it – not as a solution but as a stop-gap to help people on to the next stage. Councillor Gibson said that he did not think that £250,000 was enough and called for the council to be more proactive in finding a building, especially as 24 night shelter beds had closed. More hustings are taking place in the two weeks before the elections are held on Thursday May 2. On Wednesday, April 17, Sussex University is hosting an open hustings from 4pm to 6pm. Pesticide Action Network hosts an environment hustings at the Brighthelm Centre, in North Road, on Thursday, April 18 from 7pm to 9pm. Brighton and Hove Friends of the Earth with Community Works, Bricycles and Brighton and Hove Clarion Cycling Club are hosting a transport hustings at the Brighthelm Centre from 7pm to 9pm on Thursday, April 25. Also at the Brighthelm Centre on Thursday, April 25, but in the Hanover Room, Brighton and Hove Faith in Action hosts its hustings from 7.30pm to 9.30pm.